A short walk later and we arrived in an adorable little cafe, the ambience was much nicer than I was expecting from an Italian Deli. We asked what the most popular sandwiches were and the helpful guy at the counter recommended the #1, #4, #7 or #21. We ordered our sandwhiches, grabbed some drinks from the fridge, and threw in a rainbow cookie for good measure. Then as we were about to pay, an Arancini (Rice Ball) came out from the kitchen that looked so good that we had to have one of those too. We found a little table by the window and quickly our food was ready. The Arancini was every bit as good as it looked. I've had a fair share of disappointing rice balls in my time and I'm happy to report that this was not one of them. The Mr. dug into his #1 "Il VIP" and I dug into my #4 "Lombardia". The quality of ingredients was good, no doubt, but definitely not as high caliber (or as high quantity) as our beloved Bottino. There was no choice of bread and the default rustic bread was just too hard for our taste. We weren't crazy about the addition of the Fig Spread on Il VIP and the chicken in the Lombardia was a bit dry. Overall, it was decent, but the final nail in the coffin for us was the high price point. 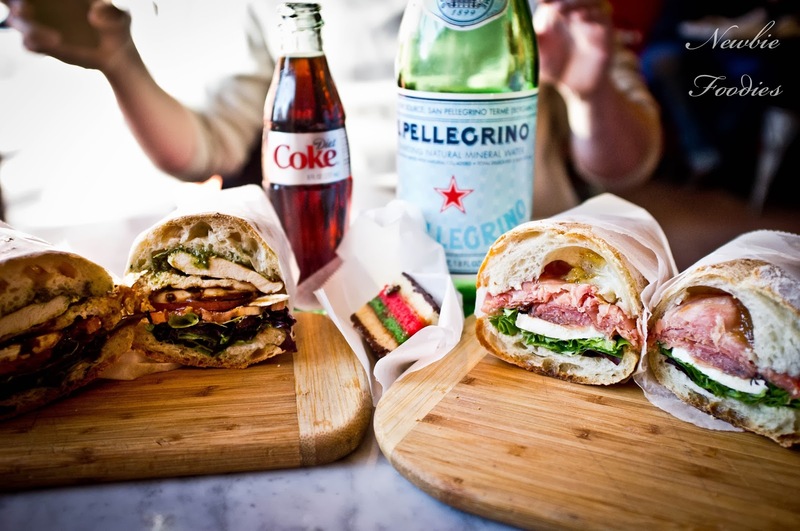 For us, who live equidistant from Bottino & Sergimmo it is no contest that we'll be sticking with Bottino. However, there seems to be a lack of decent sandwich shops in the Midtown West area, so if you don't have too much time for lunch and are in that area this is probably a solid bet. To end on a high note, the rainbow cookie was delicious. I am now addicted to arancinis thanks to Arancini Bros. Will have to try Sergimmo. 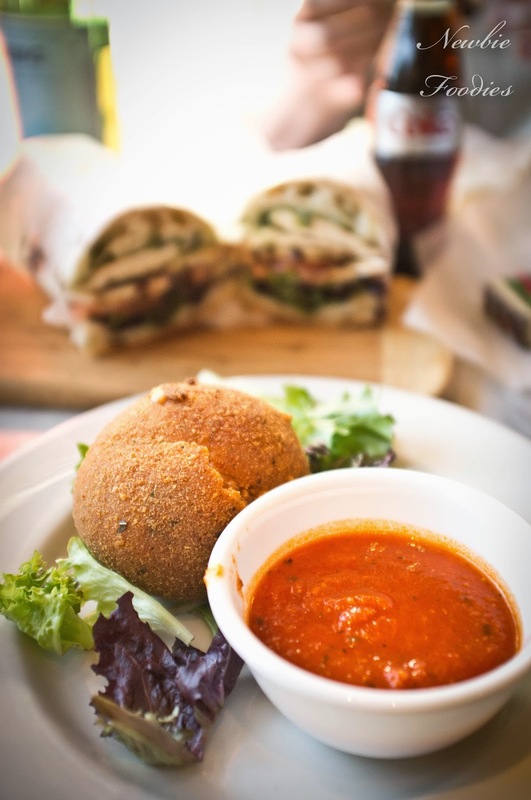 Have you tried the Nutella Arancini at Arancini Bros?? Looks A-MAZE-ING!